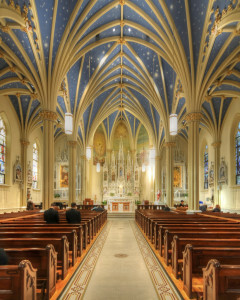 The Archdiocese of Baltimore is home to some magnificent churches, built to reflect the great glory and beauty of God. Today we need priests to serve in these great temples of the Lord, to preserve them and continue to offer Mass in them. 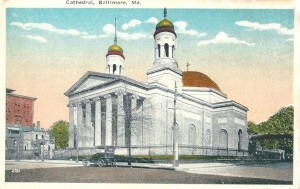 The historic Baltimore Basilica, begun by Bishop John Carroll in 1806, was the first great metropolitan cathedral constructed in the United States after the adoption of the Constitution. At the time, its architecture was comparable only to the United States capitol building in scale and sophistication. 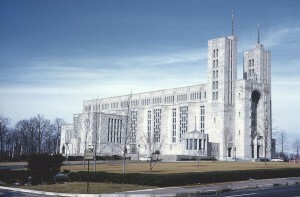 Because Catholics had been a persecuted minority in the country, Bishop Carroll’s vision was to show forth America’s new dedication to religious freedom through a building that was both thoroughly American in design and thoroughly Catholic in purpose. The inspiring neo-Gothic structure of the cathedral was made possible by the bequest of a single benefactor, Mr. Thomas O’Neill. Since the cathedral was consecrated in 1959, hundreds of priests have laid on its marble floor during their ordination. In 1995, Pope John Paul II visited the cathedral and gave a stirring address about religious freedom, liberty, and justice. 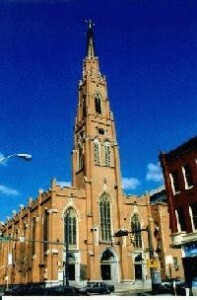 St. Alphonsus Church has been a beautiful landmark in downtown Baltimore since 1845. 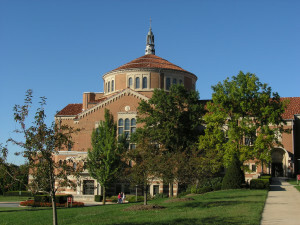 Saint John Neumann served as pastor and lived in the present rectory. Another pastor was Blessed Francis X. Seelos, C.SS.R. When Fr. Seelos is canonized, Saint Alphonsus will be the only parish church in this country, and perhaps in the world, to boast of two former pastors as canonized saints. Located in Emmitsubrg, MD, the basilica honors the first America-born saint, foundress of the Sisters of Charity of Saint Joseph. Pilgrims and tourists from across the globe visit the basilica, a testament to the spiritual heritage of a great saint. 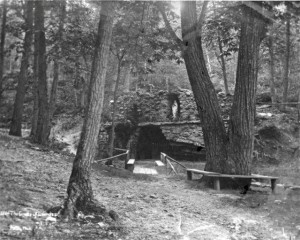 21 years after the 1858 apparitions of Our Lady in Lourdes, France, a replica was built on a mountainside in Emmitsburg, behind Mount St. Mary’s Seminary. A picturesque network of paths and shrines to saints is a favorite place for mediation by seminarians. The property on which St. Mary’s Church is located was donated by the granddaughters of Charles Carroll, the only Catholic signer of the Declaration of Independence. The site, which also holds an elementary school and high school, has played an important role in the history of Catholicism in Maryland.